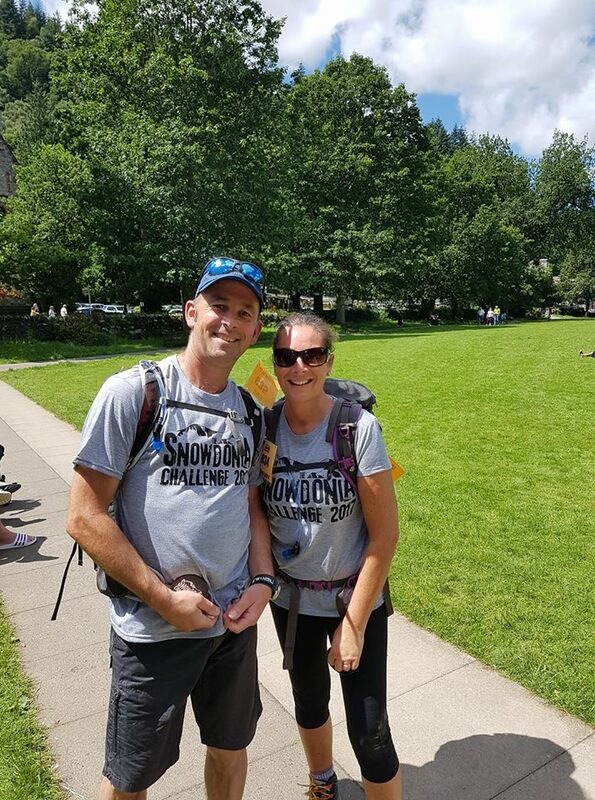 We are on countdown to Snowdonia Challenge 2019 with less than 24 weeks to go and only 20 weeks until booking closes! 1. We’re still talking about the first two! 2017 was the very first Snowdonia Challenge. 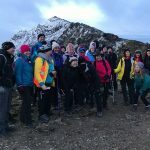 A unique walking challenge and the first event of it’s kind in the UK. It’s still (as far as we know) a unique event. The first 2 years have been such an amazing success that everywhere we go someone – from local accommodation providers, local businesses, people that worked or volunteered for us, walkers that took part or charities that benefitted from it – tell us how fantastic it was. Having such a great ‘base’ to start with means we can build on that to make 2019 even bigger and better. Whether it’s the views of the mountains along the Ogwen valley, across the lakes of Gierionydd, Elsi or Crafnant; or finding peace amongst the Gwydyr forest, over these three days you will experience some of the best Snowdonia has to offer. Betws-y-Coed has a fantastic range of accommodation whether you want a bunkhouse like the Vagabond or a hotel like Royal Oak or something in between. There’s also a great range of places to eat from breakfast baps from Food To Go to a great range of meals and snacks from Stables Bistro. There are more links to accommodation on our Snowdonia Accommodation page. Since the first Snowdonia Challenge in 2017 we haven’t given out one ‘single-use plastic’ bottle or cup. We have seen and been involved in events which give out hundreds (if not thousands) of plastic water bottles or cups. It didn’t sit right with us that our event would create that much plastic consumption. So, with thanks to Royal Oak Hotel we have been able to provide all walkers with reusable water bottles and we set up water stations along the route where these could be refilled, including Moel Siabod cafe. We asked all of our walkers to avoid single-use plastic during the 3 days where possible and this has worked really well. It’s no accident that Snowdonia Challenge doesn’t include Snowdon! We have purposely created 3 routes that take you away from the most visited areas of the National Park. We want you to see that Snowdonia is about much more than just one mountain. In both 2017 and 2018 we had walkers tell us how they’d lived in or visited Snowdonia for years but had seen places they’d never seen before during the Snowdonia Challenge. We promise you a ‘journey’; a physical, mental and emotional journey unlike any other. We can’t predict what that journey will be for each of the walkers taking part, we can only go by our own experiences of similar challenges. What has been amazing is seeing all the different journeys and experiences and being able to be a part of each one. What you will learn about yourself and others by taking part in this challenge is invaluable. Whether you take part as a team or do it on your own it’s an experience that will stay with you for the rest of your life. Whether you are a team of colleagues or friends taking part, a team brought together by a mutual support for one of our partner charities, or someone taking part on your own for the very first time, these 3 days are all about friendships. “There were a lot of different people from different places with a lot of different abilities but by the end we all felt like one big team”. This was a quote by one of our charity team participants, but he wasn’t just talking about his charity team, he was talking about everyone that took part including the team that worked on the event. The outdoors is a fantastic way to bring a team together outside of your usual environment. By challenging ourselves and supporting others we learn more about ourselves, our team role and how this can adapt in different situations. We also get to know each other better! From our point of view as event organisers, watching new friendships forming and growing then continuing on social media in the days, weeks and months after was amazing. We genuinely care about you having the best experience possible during these 3 days. We are here to provide all the information you need running up to the challenge and if you’re not sure of anything just drop us an email or give us a call! Once you have registered there’s also a closed facebook page where you can chat to past and future participants. Remember, if you’re thinking of taking part you don’t have to do it on your own… if you can’t drag any friends along to take part with you then why not join one of our charity teams? We are proud to have 13 amazing charities entering fundraising teams this year. You can find a list of all our partner charities and links to their websites here. Don’t forget to book by 28th February to get 10% off entry fees. If you want to know more about last years Snowdonia Challenge 2017 you can read all about in our Event Directors Report.